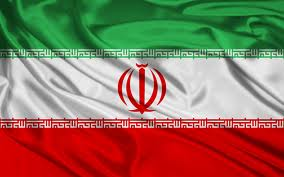 I’d like to introduce you to a friend of mine from Iran. However, because of potential persecution, I can’t give you his name or location. We’ll just call him, Steve’s friend. I have not actually met my friend in person yet but we have been in correspondence through email, mail, and a few phone calls for about 12 years now. My first contact with him came with an international Christian correspondence course called International Bible School. The program works by placing ads in international papers offering free online courses. My friend and I worked through all the lessons and have maintained a growing relationship. The exciting part is that my friend began to follow Christ and we were able to get him connected with an underground church movement in the area. Today, I am posting a few questions that I recently asked him along with his answers. Many of us in the West have misunderstandings about people who live in parts of the world like Iran. I’m embarrassed to admit this, but I just assumed that my friend spoke Arabic. While he does; his native language is not Arabic, but Farsi. I would have known that if I had done some more homework. That is just one illustration of the many things we in the West don’t know about those wonderful people living in the Middle East. We see the headline news stories and hear about the persecution against Christ followers in those countries and many of these stories are true. But there are also a huge number of folks who are open to the love of Jesus and the kingdom of God. So take some time to read through the answers from “Steve’s friend” and feel free to leave any other comments you might have or questions also. Yes, I’m thankful for my friend from Iran and pray for him often. I hope you will as well. 1. What did you think or feel about “Christians” before you became a Christ follower? In the Persian culture you can find the Christ and Christians in arts and literature. Rumi and Hafiz have talked about the Christ a lot and I believe most Iranians have great positive feelings about “Christianity” because of their cultural spirit. I was familiar with Jesus and his teaching a lot and I had a great interest in Christianity. 2. What did you know or think about Jesus before you became a Christian? I am a Sufi and Jesus has been a holy prophet who we believe in him. I always liked Jesus from my childhood because he has brought light to human beings life. 3. What did you think of Christians in the “West” before you became a Christ follower? I believe where ever people can try to get rid of their egos that are a holy place. I believe Jesus has taught us about it. By my spiritual Persian culture, I always have had very positive ideas about Christians. 4. What finally brought you to a point of giving your life to Christ? I believe human beings cannot survive without being connected to their divine fate and nature. 5. What advice would you give to Christ followers particularly in the West? -How to pray for Muslims? -How to respond to Muslims? -How to share their faith with Muslims? -What do you believe they need to know about Muslims? You are so right Barb. Good reminder for us in the West. What great faith! Here in the US we have no idea what true persecution is. I am praying for Steve’s friend as he continues to grow in his walk with Christ.